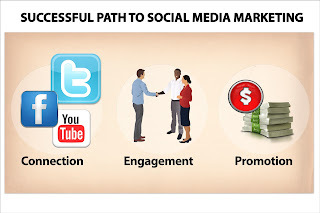 From SMEs to blue-chip enterprises, businesses all over the world are using social media for better connectivity, interaction and communication with the potential as well as the existing customers in this era of digital marketing. Online social networking sites such as Facebook, Google+ and LinkedIn, along with micro blogging sites like Twitter and Tumblr are bringing marketers more and more closers to their prospects and untapped markets. Promoting a brand or concept through videos is another impressive tactic of marketing and websites such as YouTube and Vimeo are doing great jobs for smart entrepreneurs in the digital sphere. Social media websites are providing an inexpensive and effective medium to drive greater brand advocacy, improve efficiency, customer satisfaction and higher customer conversion rate. Now, almost every business is embracing these platforms to enhance the reach and visibility of their brands. With more people are online, the traditional ways of marketing and advertising in print and on television has become less effective. With the runaway success of social media, it has become a popular platform for entrepreneurs to promote their business. Social media sites provide opportunity allows marketers to communicate with their customers, because a close relationship always helps businesses to leverage their brand. Facebook is a wonderful place to make a fan page, post images, graphic content and videos to gain customers’ support as well as trust. Social media is considered as the most powerful marketing tool for businesses to generate and maintain traffic. It assists businesses to be in touch with the fans through comments and provide quick replies to their queries. On social media, tracking and handling customers’ queries or complaints is quite simple. Customers generally post queries or complaints on the company’s Facebook wall or in the comments. Queries or complaints in tweet are usually asked by mentioning company’s twitter handle. Businesses can run several promotional campaigns, including contests through Facebook and Twitter to reward their valued customers in unique ways with zero cost, which would have cost thousands of rupees in traditional marketing. If a company doesn’t keep track of its social media campaigns, it will never achieve success. Social Media ROI helps businesses to identify what works or what doesn’t. If a business, identifies that their social marketing efforts are not working, they can change their strategies smartly and instantly. 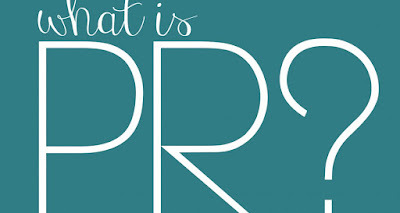 Public Relations – What Exactly is It? The effectiveness of your organization does not matter if the people don’t aware of your business’s brand, successes or contributions. Effective public relationswork can enhance a company’s reputation and build its image in the mind of the target audience. A good public relations campaign highlights your products and services, educates and informs people about your brand and promotes the business as whole. 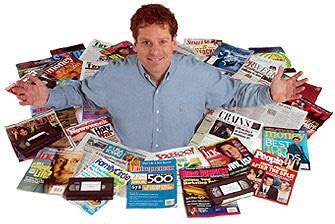 It helps gain media exposure and deals with many stakeholders on behalf of the customer. Though the goals of PR agencies and advertising agencies are same, to promote clients and make them successful, but the paths of creating awareness are extremely different. Unlike Advertising agency, a public relations agency increases public awareness of certain company, organization or individual without especially selling or promoting their products or services. PR agency is known as “free” or “earned” media that promote the companies and individuals via editorial page. It harnesses the power of print media, electronic media and online media to inform people about you, your company, your activities and your achievements. One of the advantages of PR over advertising is that it disseminates information about an organization through a third party, such as magazine or newspaper, which enhances people’s trust on the organization and its activities. Also, they often use embargo’s to ensure that the companies/organizations/ customers receive press from various outlets at the same time. It’s a truth universally acknowledged, that people’s act generally based upon their perception of facts. Thus, the primary aim of every PR agency is to create, control and influence people’s opinion because their perceptions will drive their decisions about whether they want to work with, shop with or support the organizations. Public Relation professionals work behind the scenes- they send information for media releases, courting journalists, identify the best way to reach the main client groups and audiences, draft speeches and arrange interviews to position their clients as positive role models. A good PR agency work also involves sharing general interest stories in different media channels, such as how you set up your company and it also educates people about your CSR activities. PR also helps you to gain media exposure if you are planning to launch or re-launch your business or if you are organizing a promotional event. Therefore, public relations agency enhances the brand awareness of a company by communicating and building relationships with media persons and stakeholders, and makes a business more relevant in the public eye. Relationship unfolds opportunities, create friends, build trust and of course your reputation in the market. Relationship with the press and media is as important as with people and only a reputed Public Relations (PR) firm can improve your nexus with both media and your target audience. PR agencies play a vital role in converting unknown to known and product to brand. The information age is the era of PR for businesses, politics and people who want to make themselves recognised in the society and are willing to flash their pictures in the Page-3. Businesses require investors and sponsors, writers sought after publishers and politicians want party tickets, PR help them all. Public Relations professionals work as an interface between marketer and media, they make strategic PR plans for the client, arrange press conferences, events and social gatherings, invite the media and disseminate news and press releases. Apart from traditional media, which comprise newspapers, televisions and FM channels there is an active role of digital media too, that is viably equipped with social media channels and Search Engine Optimization. Public Relations has changed dramatically after the birth of the internet or more precisely the advent of social media. A PR without covering the social media channels like Facebook, Twitter, LinkedIn and YouTube are considered useless in the recent time where people spent their most of leisure time in searching the things of their interest on the internet. The cumulative population of social media channels is much more than the total world population. From students to academicians and entrepreneurs to housewives all love to hang out in the digital world and exploring growth opportunities by interacting with the people across the globe. Hence, PR plays a vital role in both online and offline branding and promotional activities. Getting the right coverage in the media is a difficult task, but PR people know very well that how to project a product or a person and pitch the media. A business quote to a by-line article and blog to interview they can add the client’s name or services in multiple ways. The size of the organisation and age of a person doesn’t bottleneck the PR activities. Things required in this context are clear vision and objectives, right strategies, relationship with the media and the right choice in finalising the PR agency. So, if you are looking for a PR agency hires one which is professional, known and credible in the market.